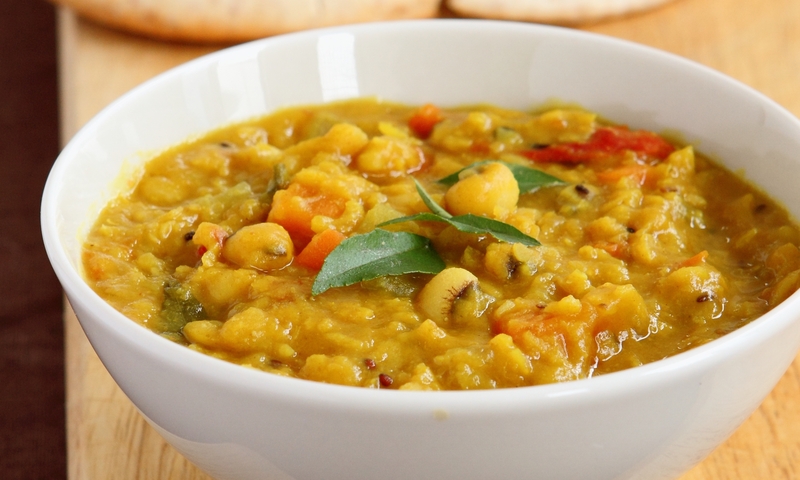 NOT only is the Bean and Lentil Stew healthy, it makes for a delicious dip for roti too. Try this easy recipe for a delicious bowl of veggie goodness. Place all stewing ingredients in a pot and simmer for 40 minutes until lentils and beans are soft. Place oil in a pan over medium heat and fry the mustard, cumin seeds and asafoetida. Once they crackle, add the chillies, onions and curry leaves and fry till onions are soft. Add this to the stew and simmer for 10 minutes. Serve with toasted pita bread.